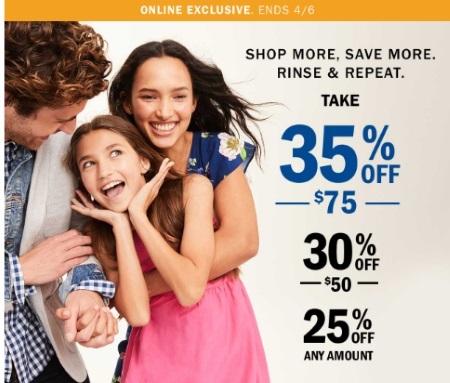 Get some new spring/summer clothes from Old Navy during their Shop More, Save More Event! Enter the promo code GETMORE at checkout. Offer is valid until April 6, 2017.